Arches Leadership is dedicated to the development of organizations based on the Principles of Enterprise Excellence. 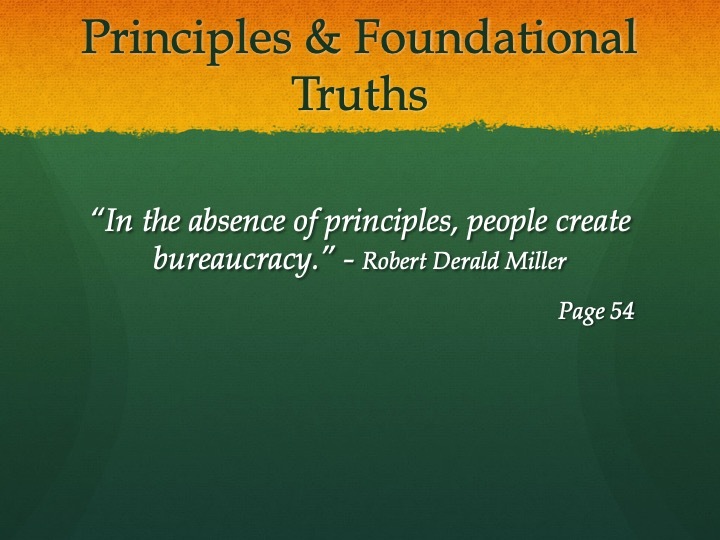 We do this by teaching key leaders and managers the fundamental truths that are associated with each principle. We help them to raise their own standard of excellence to the highest level by learning to recognize ideal behaviors as opposed to good or even very good behaviors. We help to guide managers in adjusting the key systems that shape daily routines and ultimately help leaders to shift personal and organizational thinking and beliefs; the most fundamental shift that ultimately precedes cultural transformation. 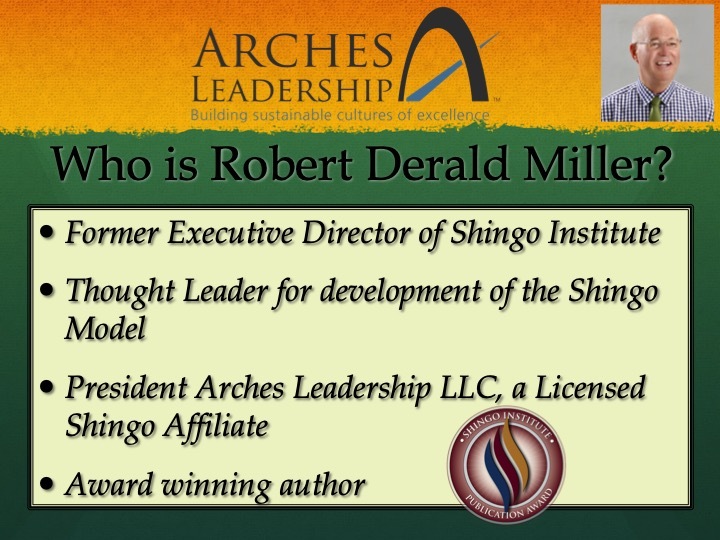 Robert D. Miller is the lead architect and thought leader of the Shingo Model. This model is a breakthrough approach to leadership based on rigorously integrating a few key principles of behavior into all management systems of an enterprise. Robert has extensive global experience in top management, public service, higher education. and consulting in both large and small organizations. Unique stories included in his new book "Hearing the Voice of the Shingo Principles" bring to reality the positive impact of principles in every enterprise and workplace. Robert Miller's new book, available June, 2018, "Hearing the Voice of the Shingo Principles" is intended to help its readers learn to hear the voice of guiding principles in the creation of sustainable cultures or enterprise excellence. Mr. Miller led the Shingo Institute at Utah State University and was inducted into the Shingo Academy in 2014. Robert and his wife Margo have been married for 44 years. They have five children, 18 grandchildren and live in Northern Utah. Robert D. Miller is the Founder, President, and Principal Advisor for Arches Leadership. As an Independent Advisor/Consultant Robert guides organizations world-wide in creating cultures of sustainable enterprise excellence based on principles. Through his highly engaging teaching style, the best companies discover new paradigms that enable seeing and achieving greater potential. In 2008 the Shingo Prize began to establish strategic relationships with great organizations in different parts of the world. The goal was to expand its reach into local markets and to learn how best to grow the influence of the Shingo Prize in the world without having to build a significant staff at the Institute. Beginning 2014, the Shingo Institute began to significantly expand its network of “licensed affiliate” organizations around the world. As a Shingo affiliate, Arches Leadership is an independent firm authorized by license to share the Shingo brand and teach all of the products developed by the Shingo Institute. Arches Leadership is authorized to teach any organization, in any industry, in any part of the world , and use the platform of the Shingo Model and courses (IP owned by Utah State University). Arches will bring the Shingo Model™ to life for your leaders and managers so that they are best positioned to engage every associate in a way never thought possible.